Glenmorangie Extremely Rare 18 Year Old Malt A specially aged rare malt scotch whisky of distinction. With a rich bouquet and full rounded flavour it appeals to the luxury spirits drinker who appreciates serious quality. 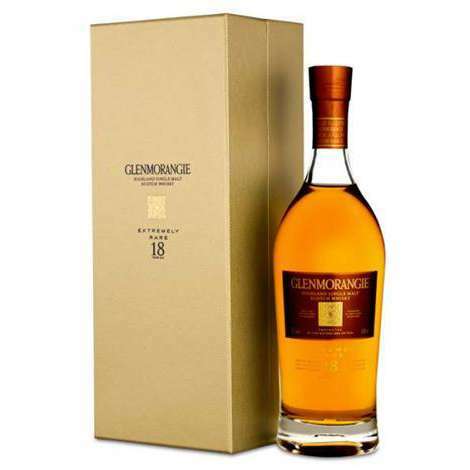 Silky and smooth to the taste Glenmorangie 18 Year Old further entrances the palate with an accord of melting honey creamy malt and aromatic florals coupled with the arm syrupy languor of sherry. Savour the rich sticky date and fig flavours as they are heightened by the unexpected caress of woodsmoke.